Although I am OK with never really growing up… Where’s the fun in that?? It is also pretty fitting to share this story when I planned on talking about what I made for my dad’s birthday dinner last week. This year he turned the big 5-8, but if anyone’s still a kid at heart, it’s my pops. This guy rides his bike to work, plays video games, and KILLS at beer pong! My parents recently took a trip to Italy and ever since they returned my dad has been all about Italian food and culture, so naturally I had to make him an Italian feast for his special day! I picked this lasagna recipe because I’ve always had good luck with Giada recipes, and because the idea of making a bechamel sauce for a lasagna intrigued me. Man-oh-man this thing could have fed an army (see in the picture how it’s exploding out of the baking dish… and my dad’s face is in the upper right corner!) 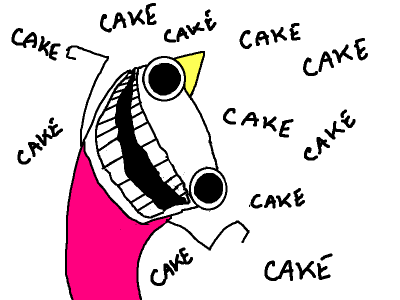 and it was goooood. Super rich and very flavorful, although I did cheat and use my favorite bottled marinara sauce (Kirkland brand!) because I didn’t have time to make a sauce. Just make sure to follow the directions and season every step where it calls for it! 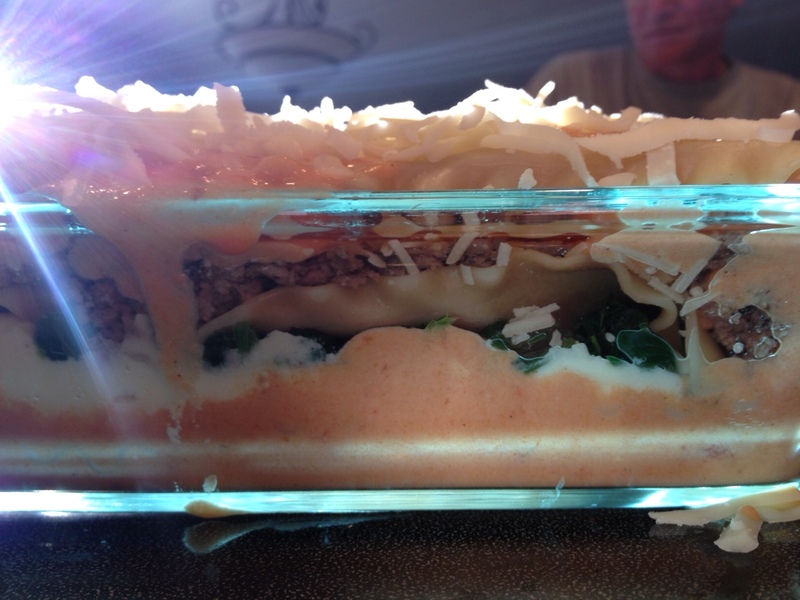 We served the lasagna with a simple green salad and a bottle of Chianti my parents brought back from Italy. The real star of the night though was the chocolate tiramisu I made for dessert. 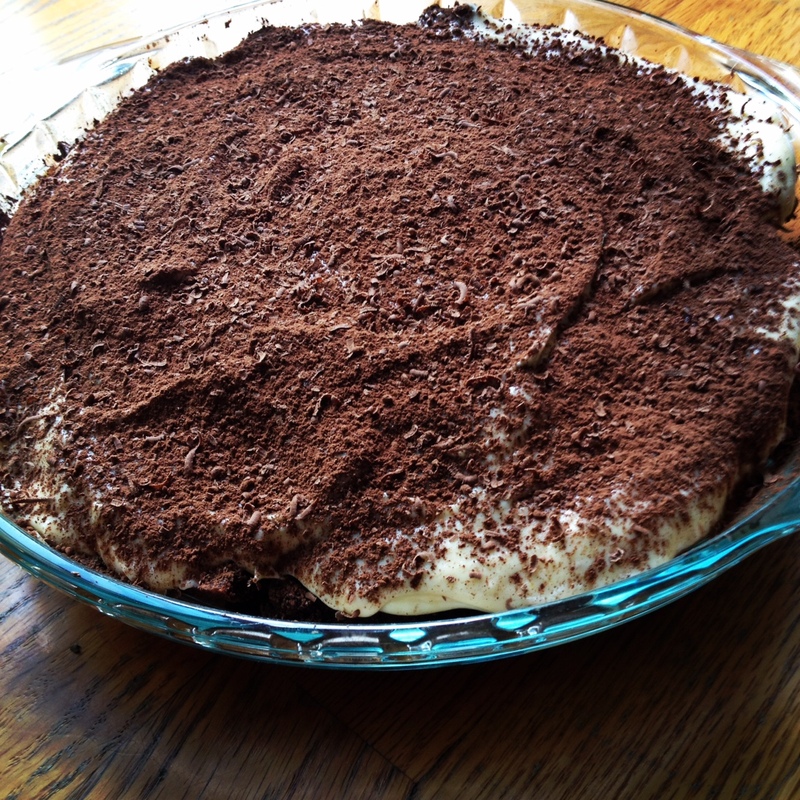 In the past I’ve made some good tiramisu, but if there’s one thing in this world my dad goes crazy for, it’s chocolate. I knew on his birthday I would need to make this classic dessert extra chocolatey to get a five-star approval. But seriously, I wish I could put into better words how delicious this dessert was. however, I think the fact that the five of us ate the whole thing that night speaks for itself. I followed Jamie Oliver’s recipe, although I did have to make a few modifications; baking the sponge in a 10×15″ jelly roll pan and reducing the baking time to 8 minutes, using Kahlua rather than Tia Maria and more espresso rather than the Marsala/ dessert wine, and placing the whole thing in a 9″ pie pan rather than a baking dish. Omg I literally just laughed so hard at the last picture…and I’m in public, so now every one thinks I’m crazy.